On Tuesday, November 27, federal legislation put Canada Post workers back on the job, after weeks of rotating strikes. The government voted to pass Bill C-89, a bill they deemed to be urgent, due to the economic impact caused by mail disruptions across the country during the busy holiday season. Canada Post also shared a recent update on the “unprecedented backlogs” and the delays that customers could expect over the coming weeks. Deliveries for parcels will continue “but be delayed during the peak holiday season and into January 2019,” explains the company. Pre-existing backlogs are only expected to grow worse, thanks to a high number of Black Friday and Cyber Monday sales. International parcels will see delays stretch into March 2019. Canada Post has noted that they’re working with the Canadian Border Services Agency, in order to expedite the process. Letters are expected to be cleared and brought up to speed before December 25. 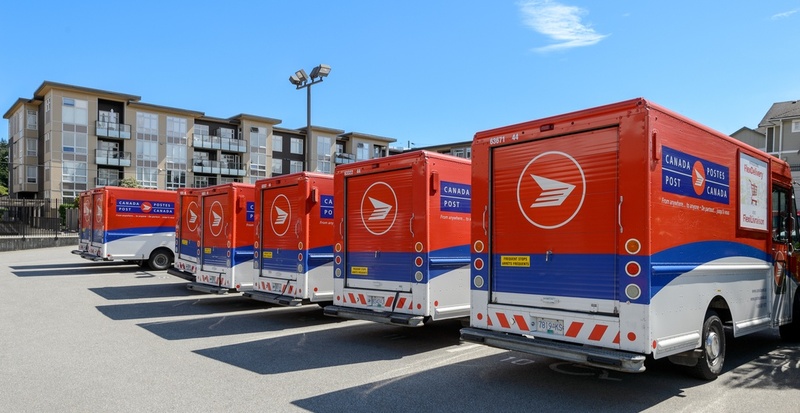 The Canadian Union of Postal Workers (CUPW) has also explained that although their members have been put back to work, other unions are stepping up in their place. Earlier this morning, several major unions in British Columbia set up picket-lines at the Pacific Processing Centre. The protest-line will allow workers in, but not allow mail out, which will likely create further delays. Bleakney’s full statement can be read here.